Together, we have played a critical role in several transformational real estate initiatives, including the creation of a new 6.8 million square foot campus in Manhattan for Columbia University, and the creation of a 1.3 million square foot clinical campus for Northwell Health. We have also custom tailored innovative real estate strategies for numerous other universities and social impact organizations, and have extensive private sector real estate development experience. From 2013 - 2017, Phil served as Senior Vice President and Chief Physical Assets Officer for Northwell Health, one of the 20 largest not-for-profit health systems in the United States and the largest private employer in New York State. At Northwell, Phil was responsible for over $500 million in real estate transactions to achieve below market rate occupancy costs and secure strategic sites for the system’s future. He also had oversight for 1 billion dollars of capital construction and the management of over 500 off-campus facilities. Previously, Phil served as Vice President for Real Estate at Columbia University, where he was responsible for positioning the real estate portfolio to meet the educational, research, administrative and housing needs of the University and Medical Center. In this role, he created strategies, formulated budgets, identified opportunities, targeted acquisitions, oversaw consultants and stewarded negotiations to facilitate the acquisition, disposition, development, leasing and management of all real estate assets belonging to Columbia University. Over his 12 year tenure, Phil negotiated the business terms for real estate transactions valued in excess of $1 billion, including the assemblage of 60 separately owned properties comprising 17 acres (including the relocation and construction of new facilities for businesses, residential occupants, houses of worship, city agencies, and public utilities) necessary for the development of the new $7 billion, 6.8 million square foot campus in Manhattanville. Other accomplishments at Columbia include implementation of strategies resulting in development opportunities and improved institutional collaboration on the combined campus of Columbia University Medical Center and New York-Presbyterian Hospital and repositioning of flagship Faculty Practice facilities in midtown Manhattan, and development of financial controls and systems for the management of Columbia’s owned and leased space within and outside New York City. Phil is a member of the board of Breaking Ground, a not-for profit developer of supportive and affordable housing for vulnerable New Yorkers and is Co-Chair emeritus of DOROT, an Upper West Side social service organization providing services to the frail elderly. Phil is also Assistant Chair of Urban Land Institute’s Health Care and Life Sciences Council. Phil has a BA in Accounting from Syracuse University and JD from Touro College and is a member of the New York State Bar. From 2013 - 2017, Joel served as Vice President of Real Estate Strategy for Northwell Health. At Northwell, Joel led the real estate group, and was responsible for the health system’s real estate strategy, real estate negotiations, and transaction execution. During Joel’s tenure, the off-campus real estate portfolio at Northwell grew over 2.5 million square feet including a new corporate headquarters and a new clinical campus. Prior to joining Northwell, Joel was a Director at K. Backus & Associates (now U3 Advisors), a boutique real estate consultancy focused on not-for-profits and universities. Joel’s specialties included real estate strategy, transaction structuring, and developer partnerships. His clients included Columbia University, Columbia University Medical Center, 1199 SEIU United Healthcare Workers East, the YMCA of Greater New York, Cornell University, City University of New York, and Collegiate School, among others. With Phil Silverman, Joel was responsible for assembling 60 separately owned properties for Columbia University, clearing the way for development of the Manhattanville campus. Joel has a BA in Government and Economics from Claremont McKenna College and an MBA from Columbia University. Joel was a Trustee for the New York State chapter of The Nature Conservancy from 2011 to 2014, and currently sits on the Conservancy’s New York State Leadership Council. From 2013 - 2017, Lori served as Assistant Vice President for Real Estate Strategy and Analytics for Northwell Health. At Northwell, Lori was responsible for developing real estate strategic plans to support the system’s hospitals, the financial modeling behind the development of a new clinical campus, and portfolio analysis and optimization. Lori was also Project Lead for the pre-development and public approvals of a major NYC redevelopment project. Prior to joining Northwell, Lori was a Director at K. Backus & Associates (now U3 Advisors), a boutique real estate consultancy focused on not-for-profits and universities. Lori specialized in portfolio diagnostics, strategic planning, and financial analysis and led multiple engagements with institutions including Brooklyn Public Library, New York University, Princeton University, and Washington University in St. Louis, among others. Previously, Lori worked as a City Planner for the City of San Mateo, California where she was responsible for analyzing environmental, policy, and urban design impacts of proposed real estate developments for over 100 projects, including the redevelopment of a 75-acre former racetrack into a mixed-use office, retail, and residential center. Lori has a BA in Architecture from UC Berkeley and an MBA from New York University. 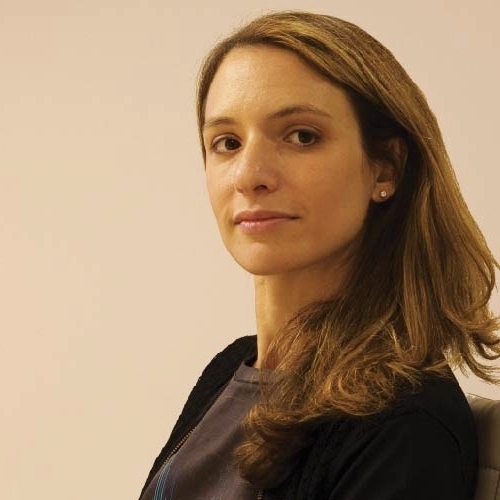 Prior to joining Blue Sky, Eloise was Director for Leasing and Acquisitions at Columbia University, where she oversaw the portfolio of real estate connected with the university’s medical center. In this role, Eloise secured new space to facilitate the expansion of clinical departments and worked to reposition the portfolio of existing space to achieve improved efficiencies and lower costs. Additionally, she evaluated development sites for university expansion, managed acquisitions and dispositions of key university assets, and worked closely with departmental leaders to plan and achieve strategic initiatives. Previously, Eloise was Vice President of Sales and Business Development at Cityfeet.com where she was instrumental in growing the start-up business into a nationally recognized commercial real estate marketing platform. Eloise is also a licensed real estate broker with a focus on non-profit representation and has worked on behalf of numerous education and healthcare clients to achieve advantageous leasing and acquisition terms. Eloise has a BA in Art History from Emory University and MS in Urban Planning from Columbia University, and is a member of the Real Estate Board of New York. Prior to joining Blue Sky Real Estate, Irwin worked in construction administration and development for Array Architects, a healthcare architectural firm with seven offices in North America and 140 employees. In his role, Irwin managed clients in the healthcare sector including NYU Langone Health and Mount Sinai Health System. Previously, Irwin served as Senior Director of Construction and Facilities for The Carlyle Group – Nature’s Bounty, a vitamin and nutritional supplement company. For twelve years, he led the budget, planning, design, and construction for over 3 million square feet of corporate office, manufacturing, and warehousing facilities across North America. During his tenure, Nature's Bounty received the Northeast Energy Efficiency Partnership (NEEP) award, which recognizes business leaders for energy efficiency. Irwin is a registered architect in New York, has a BA in Architecture from New York Institute of Technology and a Certificate in Architecture from Milano Polytechnico in Milan, Italy.